← Wedding Music: iPod, DJ, band, musician, etc. Choosing the perfect dress for your bridesmaids is almost as difficult as choosing your own dress. However, there is no reason to panic, if you stay organized and focused on exactly what look your going for then things will turn out perfect. For starters , you will want to choose a dress that flatters all the figures of your bridesmaids but is also easy on the wallet. In order to gauge the direction you want to go in you should consult a few of your bridesmaids when you start searching so that they can weigh in on your choices. 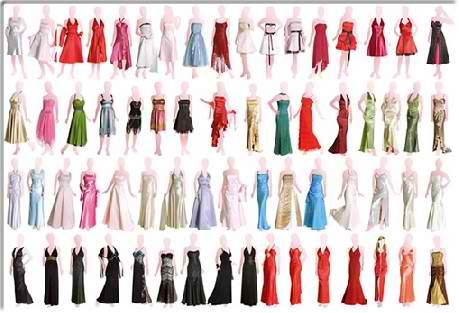 Because there are millions of dresses out there you will need to narrow down the brands and styles of dress that your interested in. If you are the traditional bride then you will want to find one dress that all of your bridesmaids will wear, this can sometimes be challenging because of all of the different types of body styles that need to be taken into consideration.However, Challenging does not mean impossible, with patience and time your bridesmaids look amazing on your wedding day. 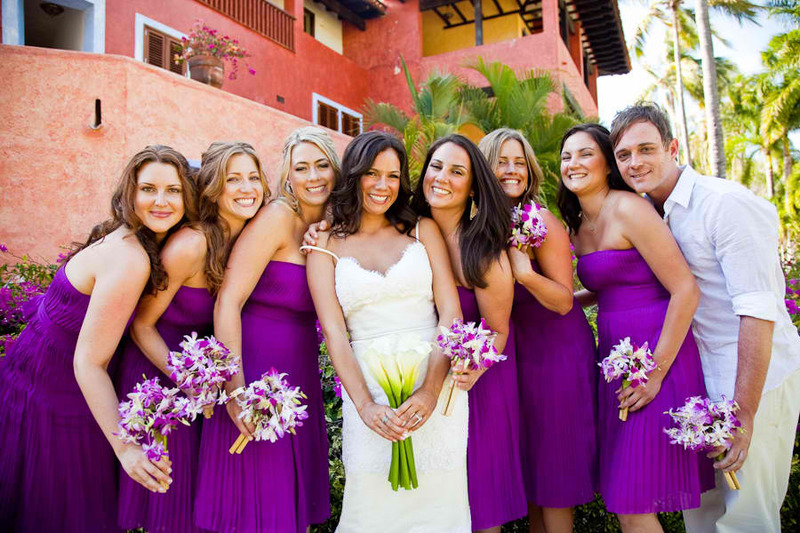 In order to avoid choosing one dress the bride will often allow the bridesmaids to either choose the same dress in different shades of one color or choose different dresses in the same color. This will not make your bridesmaids look like a mash-up of dresses if you give certain guidelines on length , straps or no straps, etc.. Taking this route allows your bridesmaids the opportunity to be an individual while also supporting you on your big day, chances are they will consult with you before making a final decision so this does not mean you will not have control over what they wear. Whether you choose for your bridesmaids to be perfectly matched or you decide to change it up and use a few colors and styles , it is important for them to be satisfied with what they are wearing. The days of making your bridesmaids look like fools on your big day are long gone so please make sure they are happy with what they are wearing, after all they are your closest friends and family. This like everything else should be a happy and joyous process. If you are too stressed then you should enlist the help of some close friends or even the groom-to-be. Enjoy!!! This entry was posted in Uncategorized, Wedding Advice & Tips, Wedding Details, Wedding Planning, Wedding Style and tagged bridal, Layne Corban, marriage, wedding, Wedding Day, Wedding Details, Wedding Planning, Weddings. Bookmark the permalink.